I well remember sitting in the AFP bureau in Harare at dusk on November 21, 2017 and hearing the first whoop of delight in the street outside when Robert Mugabe was finally ousted, an extraordinary moment in Africa's post-colonial history. Recently, I was back in Zimbabwe to take a 1 000km road trip, travelling from the capital Harare across the agricultural heartland to the second city of Bulawayo and then south, down to the land border at Beitbridge into South Africa. The trip was to report on the country's troubled post-Mugabe "reboot" and to seek stories away from the news headlines and outside the political scene of Harare. Determined to make the best of our unexpected press accreditation, I teamed up with Bulawayo-based photographer Auntony Zinyange and South African AFP video journalist Maryke Vermaak. Not far outside Harare, the effect of Zimbabwe's land seizures under Mugabe nearly 20 years ago was clearly evident. 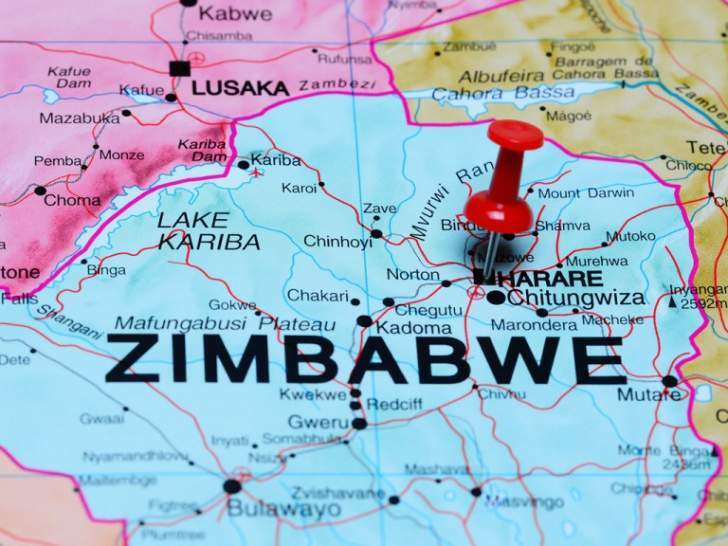 The road is Zimbabwe's major highway and in good condition, but traffic was scarce due to the chronic petrol shortage and a sudden rise in government-set fuel prices that sparked the latest bout of violent protests. We interviewed teenagers beaten up by soldiers and opposition activists, but perhaps the most memorable meeting was with an "insider" - a prison officer. Motivated only by a sense of injustice, he calmly told how detainees - some under-age - were being held with little food or bedding and driven to court in trucks for cursory court hearings before being denied bail. Of all our conversations in Zimbabwe, it is the quiet voice of a prison officer that sticks with me - one brave man who just wanted the chance to speak out. One of the daily complexities of life in Zimbabwe - where the US dollar is the main currency - is the multiple, parallel exchange rates that many people keep running constantly in their heads. In a fancy Harare restaurant before we set off, I managed to pay $23 for a vegetarian burger. Instead, I could have crossed the street to the ubiquitous money-dealers and spent about $7 buying 23 local "bond note" dollars -and paid with them. It is illegal but universal, and one symptom of the country's decades-long economic meltdown. And don't even ask me to try to explain about Ecocash rates, RTGS money, "zollars" and nostro accounts - all key subjects to master when negotiating the currency jungle. When I presented two US dollar notes to pay at a road toll booth, the cashier exclaimed in genuine shock, saying she hadn't seen a greenback in months. Bulawayo is itself a city of squandered potential - glorious but decaying colonial and art deco architecture, forlorn industrial estates, an abandoned racecourse, an informal economy of street traders and empty hotels. At the Bulawayo Club, founded in 1895, we were the only guests night after night, rattling around its library, billiards room, bar and collonaded restaurant. The club now operates more as a hotel than a gentlemen's club, with its past on display to shock or amuse. Just outside the city is one of Africa's great tourist sights - the Matobo national park with its balancing rocks, bizarre whaleback-shaped hilltops and the panoramic gravesite of British imperial overlord Cecil Rhodes. One park guide told us foreign visitor numbers had risen sharply as Zimbabwe returned to the world stage after Mugabe's fall in 2017. As we headed south to the border through the parched and desperately poor Matabeleland South province, the excitement of being on the road in Zimbabwe was tempered by the sense of its decades of wasted potential during the Mugabe years - and a gloomy feeling that the country's struggles are far from over.